The second tournament of my trip this summer was in Barberà del Vallès, a town just north of Barcelona. With no rest day between the final round of Montcada and the first round there, I had to hope that my last round win against Lorenzo was a sign of better form. The tournament at Barberà del Vallès is much smaller than the one in Benasque at about the same time, but that cuts both ways. Benasque, where I’ve played twice in the past, has more strong players, but so many more players in general (and only one section) that you play many lower-rated players before getting even a 2400. At Barberà, though, there were some GM/IM matchups in the first round. I was paired against a young 2280 in the first round, Alberto Chueca. 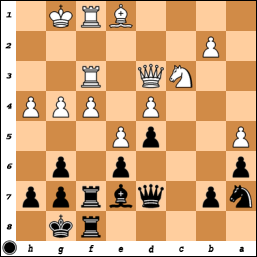 Black just introduced a novelty (I doubt if it was prepared, though) with 11…0-0. 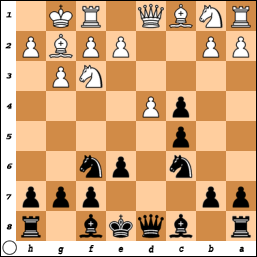 Normally in this line, Black castles queenside, and in fact, that is what GM Andre Diamant did against me at the SPICE Cup last year (he played it with …Bf5 instead of …Bg4, but both squares are reasonable). 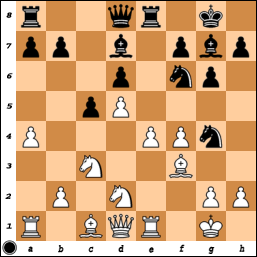 Against Diamant, with him having castled queenside, I played a maneuver with Qd1-c1 and Rf1-d1, preparing the d4-d5 breakthrough. 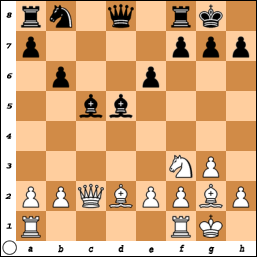 After a serious think here, I came up with something similar – 12.Qe1, which I think is a strong move. 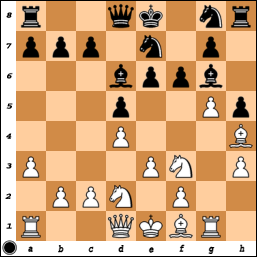 The move seems to be quite useful to me: it prepares Rd1, which supports the d4-pawn and sets up d5 breaks again; it breaks the pin on the knight (which might go to g3, when a further h2-h3 would embarrass Black’s bishop); and it also allows White’s queen to eye the a5-square (which Black might otherwise use to transfer a knight to c4) and the kingside (after f2-f3). 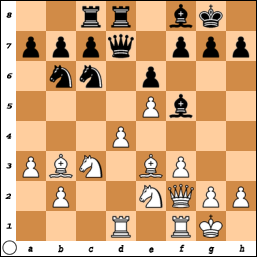 I was happy with my position here, and after a further 12…Rfd8 13.Rd1 Bf8 14.f3 Bf5 15.Qf2? !, I remember taking a walk around the playing hall feeling good about my position. 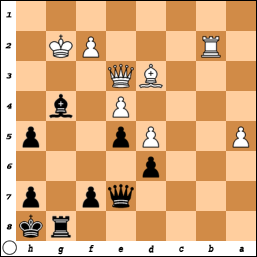 It was only after playing 15.Qf2, though, that I realized that the best move there was probably 15.Ba2!. 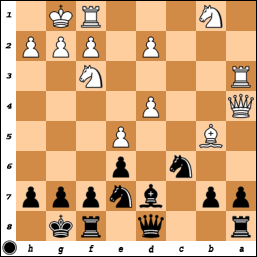 The bishop retreat gets out of the way of tempo-gains with …Na5, and the opening of the c2-square for the Bf5 isn’t such a big deal now. 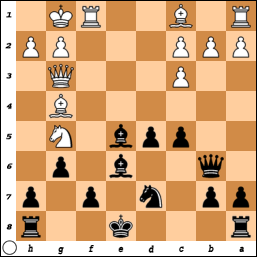 Meanwhile, if Black plays 15…Na5, White has more information on the position and can act accordingly – 16.d5! is now very strong, since after exchanges on d5, the Qd7 and Na5 will both be hit. After 15.Qf2? 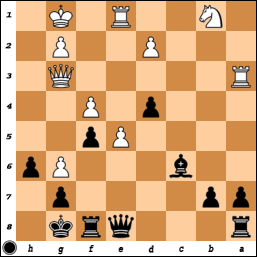 !, though, Black gets a reprieve, which he could have seized with 15…Na5! 16.Ba2 Bc2. 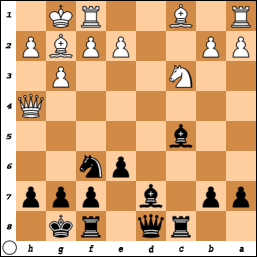 By transferring the bishop to b3, Black renders d5 impossible, takes the bishop away from potential trouble on the kingside, and also gains the c4-square for his knights. 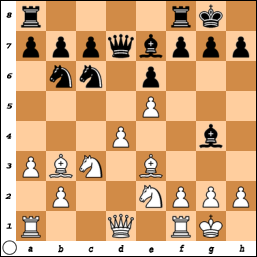 Instead, Chueca played 15…Rac8, hoping to play …Na5 and …c5 at a later juncture. He didn’t get a second chance though.